Five minutes from the Cueva del Soplao, is the Rural Inn La Capellanía, located in Celis, a beautiful town that draws attention for the traditional conservation of its neighborhoods formed by stone and wood houses, where the flowers adorn its balconies and gardens . Posada La Capellanía, located in the heart of the town, offers the possibility of renting an apartment for four people fully equipped with a gazebo from which you can enjoy beautiful views. The Posada has a shared garden and barbecue, free wifi , parking and supermarket service. You can take the opportunity to visit La Cueva El Soplao, Las Cuevas de Chuffín, La Ferrerría de Cades, stroll peacefully through our mountains or visit our nearest beaches. - Supermarket service, 3 restaurants in the village, common room for the rooms. The rest is guaranteed and the food in this town is excellent. We also have information about the area Open all year long. Small exhibition of local crafts and family antiques. Parking . 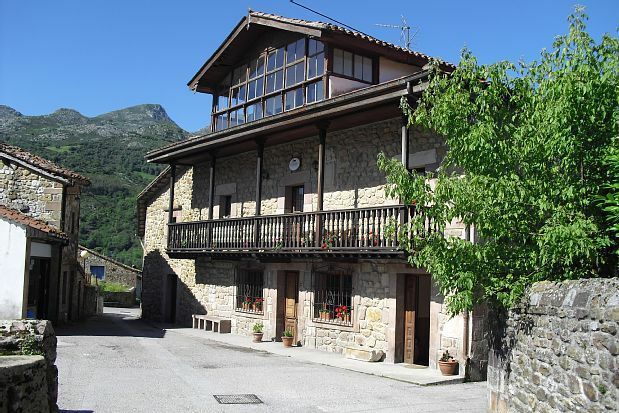 We are less than an hour by car so you can visit any point of Cantabria and 10 minutes from Asturias NO PETS ARE ADMITTED To come with children there is a park in the village and you can also bring bicycles or motorcycles since we have a good bass where you can store them.